A Breath of Fresh Air This fabulous family home has been completely updated and refurbished so that it now offers a stylish modern lifestyle. Set centrally within a 1/3 acre of gardens and grounds, this would make the perfect family home. It is clearly evident from the moment you step inside and find yourself in the large light hallways, off which the main reception rooms radiate. Immediately to the right is the family sitting room where porcelain Italian tiles are to be found underfoot, downlights have been fitted for atmospheric lighting, and to the centre a sleek black hearth with an open fire takes centre stage. "This is a real family room, especially in the winter when we tend to gather round the fire to watch TV." Two pairs of French doors also lead off this room, one into the orangery, and the other to a decking area at the side of the house where there is a seating area. Off the hallway there is also a downstairs cloakroom and an office that looks out over the front of the house. Stairs lead up to a large galleried landing off which the four double bedrooms radiate. The bedrooms afford magnificent views out across the garden and countryside to the rear, including the master suite which is a lovely room with a stylish interior and dressing area, large en-suite. Family bathroom which has a separate bath with TV and shower unit, and again has been designed to the very highest specification. It is the perfect family home, well designed and well-appointed, and also with a great location. "We are only 10 minutes from the beaches at Clacton, and we love wandering along the front or taking a turn at the amusements on the pier!.". Double glazed window, low level WC, wash hand basin, chrome towel radiator, tiled walls and floor. Double glazed box bay window, feature open fire with mantle and hearth surround, porcelain tiled floor, double doors to kitchen area, access to side garden, ceiling with feature spotlighting, two chrome radiators. Double doors into hall, granite worktops including breakfast bar, range cooker with extractor hood over, large selection of cupboards and drawers, saucepan drawers, tiled walls, slate tiled floor, space for dishwasher and American fridge/freezer, double glazed window, access to utility, hot water tap. Double glazed window, space for washing machine, drawers with worktops, access to garden. Loft access, wooden banister, chrome radiator, cupboard housing tank. Double glazed window, double radiator, walk in dressing room (previously bedroom four), range of wardrobes and drawers, dressing table. Double walk in shower cubicle, low level WC, wash hand basin, double glazed window, tiled walls and floor, chrome radiator, heated towel rail. Double glazed window, double radiator, fitted double wardrobe. Double glazed window, double radiator, double fitted storage cupboard. 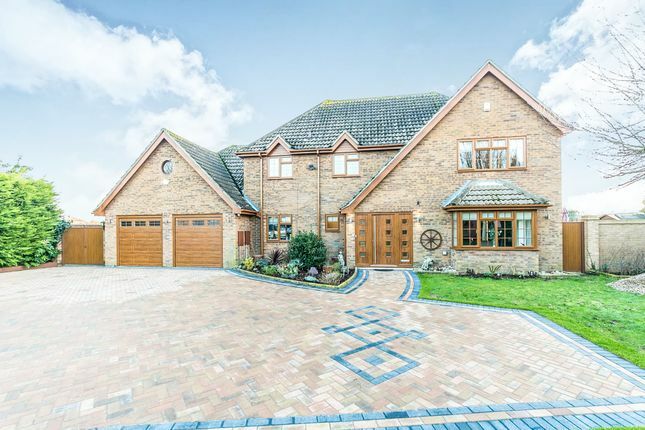 The front garden has electric double gates and intercom, large block paved driveway leading to double garage with two electric doors and power connected. There is grass to side and feature lighting. There is a double gate leading to the rear garden, large patio area, summer house/bar measuring 17' x 10 with power and light. There is a decking area to the rear, garden shed, raised deck patio to side with base for hot tub, outside lighting, outside taps and power. 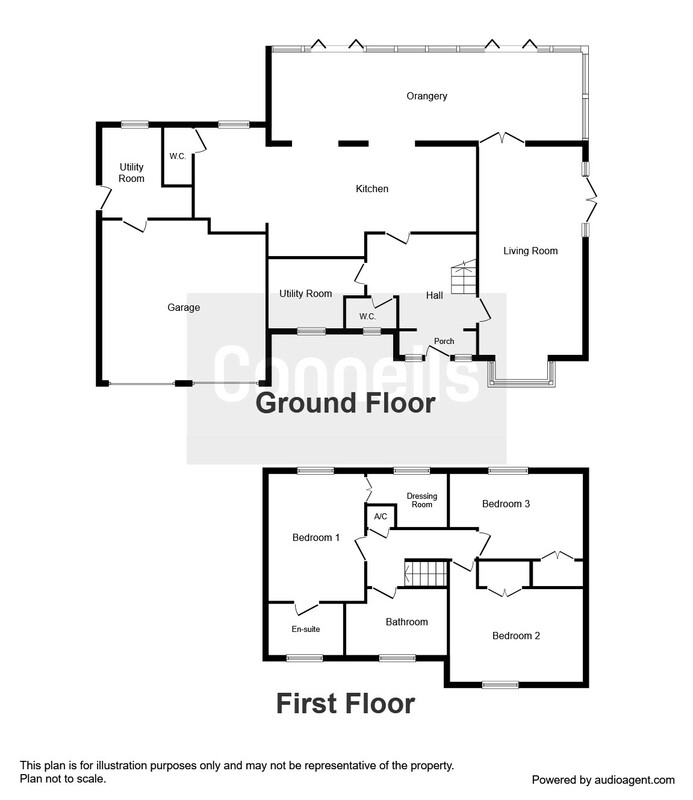 Property descriptions and related information displayed on this page, with the exclusion of Running Costs data, are marketing materials provided by William H Brown - Clacton On Sea, and do not constitute property particulars. Please contact William H Brown - Clacton On Sea for full details and further information. The Running Costs data displayed on this page are provided by PrimeLocation to give an indication of potential running costs based on various data sources. PrimeLocation does not warrant or accept any responsibility for the accuracy or completeness of the property descriptions, related information or Running Costs data provided here.